There is a huge interest in 2-stroke sports bike, and this can be seen by the response we get here on CSBFS and our sister site RSBFS. The bikes that get the most attention are the big names Japanese bikes that have proven race heritage. 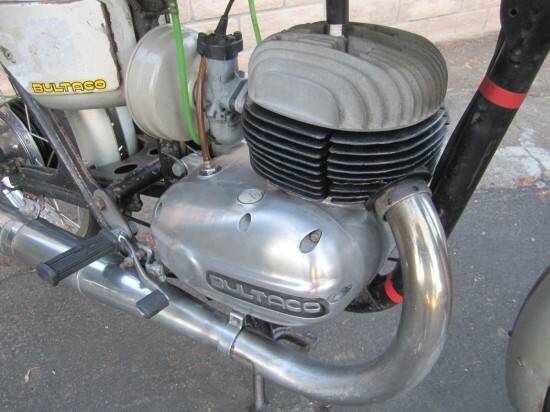 But I think that many people are unaware of the Bultaco and there success in Grand Prix racing. (1967 Isle of Man 250cc production winners with an 88mph average) They may not have stood on the top step of the podium often, and were later pushed off the podium all together when the Japanese manufactures really started to dominate. 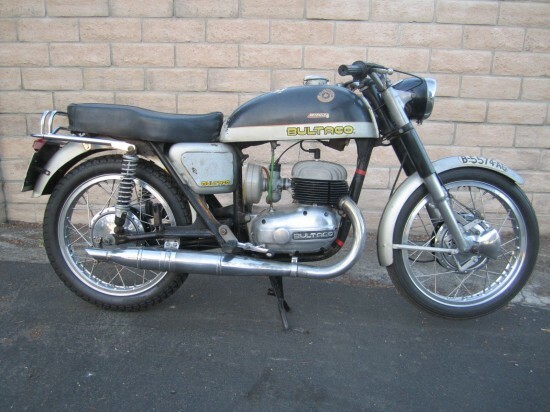 But this 1965 Bultaco Metralla MK2 has a racing pedigree, and I think will soon dominate collectors want lists soon. I purchased this 1965 BULTACO METRALLA MK2 32 YEARS AGO from a collector friend in Barcelona (Spain). 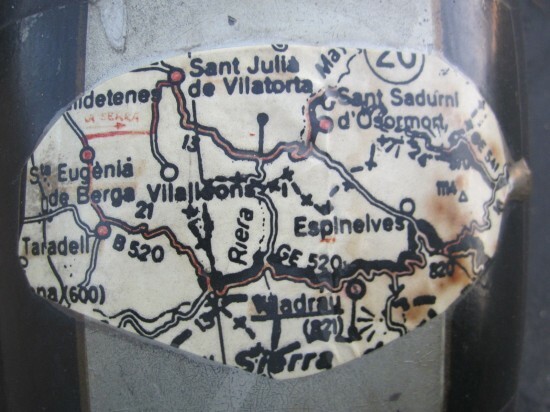 I rode around Spain for a week and also participated in a rally in the Pyrenees organized by the Catalunya Motorcycle Club. The route chart is still stuck on the gas tank! My friend who was riding a Montesa 175 was hit by a car and he had to ride back with 5 broken ribs nearly 100 miles on the back of my Metralla to the hospital in Barcelona!! I imported the bike to the US in 1983 and rode it a few times before putting it in my motorcycle collection. This is harder to find European model with smaller headlight and clip on bars. (“Europa” model). I was able to find numbers that match what the seller gives: 27.6hp at 7500rpm giving a top speed of 100mph from the 244.3cc, 5-speed 2-stroke. Apparently the carburetion for the Metralla grew through the years, starting with a 27mm unit and ending with a 32mm Amal Concentrick MK1. 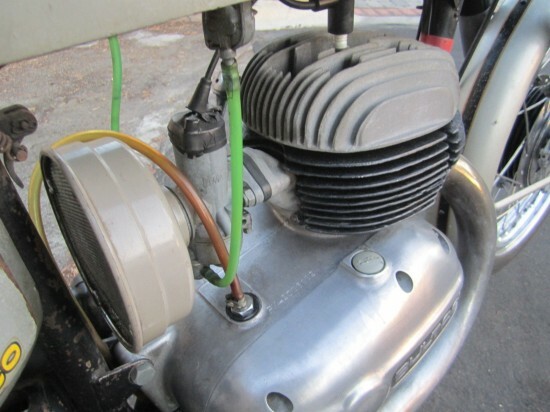 Bultaco used a separate oil tank with a manual pump to measure the appropriate gas to oil mixture. Fill the tank with gas, pump the appropriate number of times, and oil would mix with the gas in the tank. 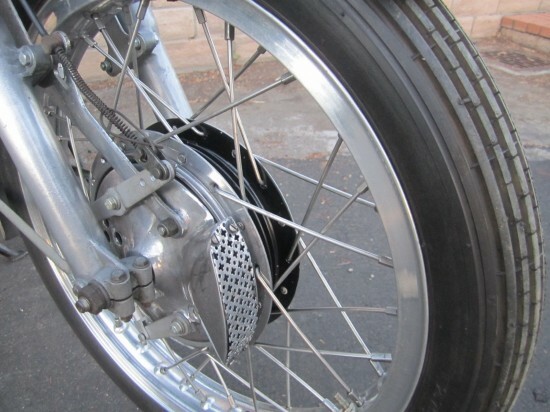 This and the fully enclosed chain were features that added to the simplicity which Bultaco added to your 2-stroke pleasures.